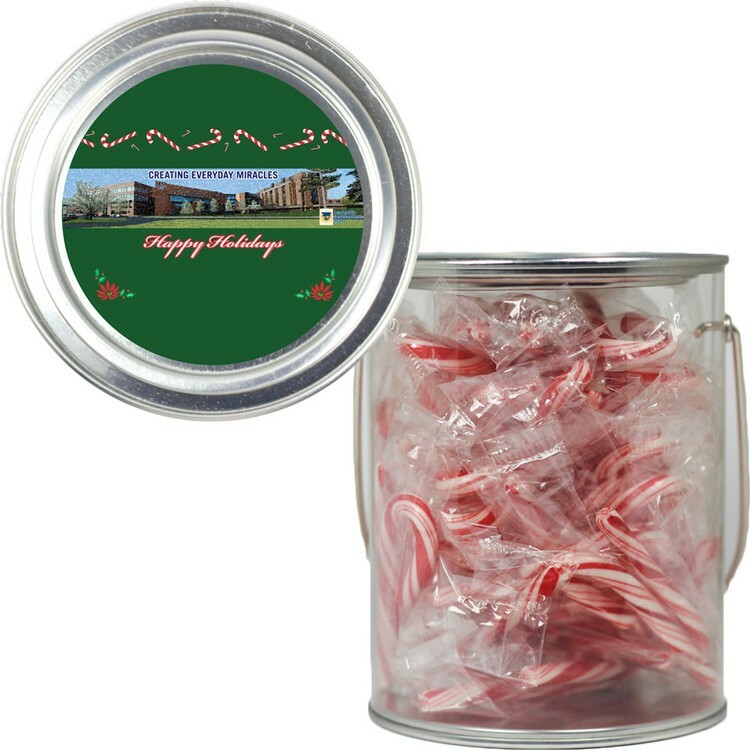 Clear plastic paint pail can filled with candy canes. Comes with a four color laminated decal on the lid. Paint an image your clients will not forget with this creative marketing solution. Other filling options include starlite mints, candy cane, gumballs, tootsie rolls, and jolly ranchers. The pail is made in China and the candy is made and filled in the USA.